After the outrage over loot boxes that we witnessed toward the end of last year, a key reseller has understandably concluded that its customers want more gambling-inspired purchasing practices. 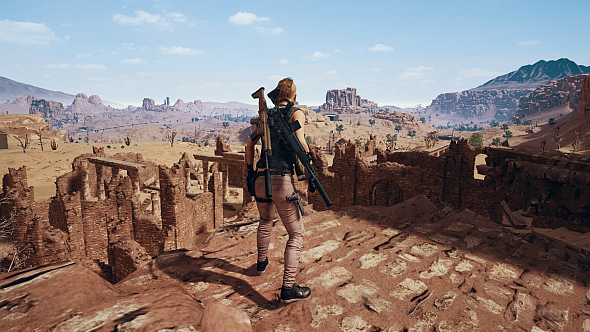 GamesDeal are offering PlayerUnknown’s Battlegrounds for the low, low price of £12.69 – if you’re willing to take on a 50% risk that you come away with a key for a random game instead. For even better value, check out the best free games on Steam. GamesDeal normally sells PUBG for £27.21, which, interestingly, is slightly higher than Steam’s price of £26.99. And you thought key resellers offered discounts. Head herefor the terms and conditions of the 50% promotion. They could be more precisely worded, but it seems you can either buy one or two 50% tickets. If you only buy one, you have a 50% chance to get PUBG, and if it doesn’t happen, you get a random game instead, which is better than nothing. If you buy two tickets, you’re guaranteed to get PUBG anda random game. MCV bought a 50% ticket, and it sounds like they had a poor experience: GamesDeal’s security blocked their PayPal payment, after which they had to try three more times to get a phone call to verify their identity. Fifteen minutes later, they were told they hadn’t won, and got a copy of Hockey Space, a simple indie multiplayer game that’ll cost you £3.99 on Steam. GamesDeal does not offer refunds or exchanges from the 50% promotion.